Now’s a good time to buy some used Electronic Arts games, or dust off the ones you already own. EA has confirmed to Game Informer that it’s discontinuing Online Pass not only for new games, but for existing games as well. 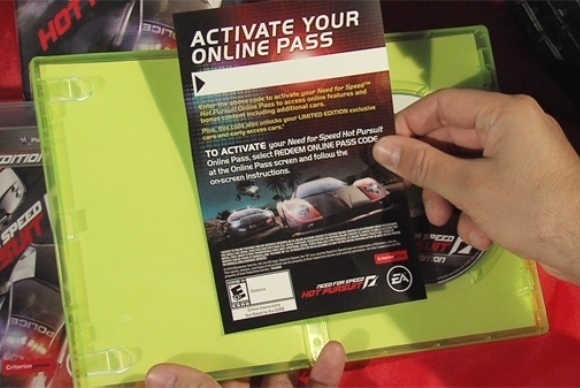 access certain features of EA games, mainly online multiplayer games. problems such as expired codes and server shutdowns. A post on the gaming forum NeoGAF notes that several Xbox 360 games have already ditched Online Pass, including Medal of Honor, Bulletstorm, and Kingdoms of Amalur: Reckoning. By eliminating Online Pass, EA may be trying to restore some goodwill, after being dubbed Consumerist’s Worst Company in America for two years in a row, and sparking controversy over always-online DRM in Sim City. afoot as they try to migrate from packaged discs to digital sales.